This advanced level running injury course is designed to help you evaluate and treat injured runners. The most up-to-date clinical and evidence-based information. This course provides you the essential tools needed to develop a comprehensive, individualized, targeted rehabilitation program for each of your running clients. The ultimate software tool for therapist looking to learn about lymphedema or enhance their current knowledge. This software tool is a outstanding resource to any professional library. This new version, released on USB for Windows Operating systems, contains over 400 pages of information with photos, 3D renderings, digital movies and illustrations. Information can be viewed onscreen and printed. The information can be used for self-study and can form the basis of a patient education program for any clinic or hospital. You can purchase a Pilates DVD at the store for $19, so what's the big deal? This film focuses on a therapists mastery of Pilates from a clinical perspective. Each exercise is performed and narrated with a focus on understanding the proper execution and implications of the exercise. The online course relates all these exercises into rehab case studies. This is a great learning tool for the geriatric population. SI Joint Pain? Michael P. Reiman , PT, DPT, OCS, SCS, ATC, FAAOMPT, CSCS reprises his star roll in this comprehensive narration and demonstration of evaluation and treatment techniques for the SI joint. Multiple camera angles and close up detail shots ensure that your catching all the action. The SI Joint Evaluation and Treatment covers twenty-eight treatment techniques, including nine mobilizations and six muscle energy techniques. Michael P. Reiman also narrates and demonstrates twenty-seven examination techniques for the SI joint. Looking for a quick and easy way to learn about the evaluation and treatment of the Hip complex? This course will NOT provide that, what it will provide is comprehensive knowledge of the complexity of the hip joint as well as evaluation and treatment techniques. Michael P. Reiman , PT, DPT, OCS, SCS, ATC, FAAOMPT, CSCS is thorough and meticulous in his narration and execution of the evaluation of the hip joint. He follows up a spectacular evaluation with narration of key exercises and techniques for treatment of the hip complex. A great course on a complex subject, follow this course up with a live event so that your hands on skill match the knowledge gained in this course. Spinal Cord Injury is truly a unique educational program featuring a paraplegic and a quadriplegic performing specific rehab activities. Selina Morgan PT, ATP demonstrates and narrates patient transfers, mobility exercises, wheelchair related activity and brace utilization. In addition, Manual Muscle Testing, wheelchair related issues and many other topics are explored in detail. Imagine your spinal cord patients learning mobility techniques by watching other SCI patients perform those techniques! If you are treating SCI patients this film and educational course is essential to your professional development. Have you ever met a therapist who displayed such a tremendous amount of skill in one particular area of rehabilitation? If not this just may be your first encounter with such a person. Barry Morgan , PT takes you on a educational journey into vestibular rehab. He demonstrates clinical evaluation tests and treatments while providing pearls of clinical wisdom. George J. Davies, DPT, MEd, PT, SCS, ATC, LAT, CSCS, FAPTA, PES provides evidence based therapeutic exercises guidelines for developing rehabilitation programs for patients with various shoulder pathologies. Foundational exercises are described first to work each link in the kinematic chain in an isolated manner to build the “foundation” to progress to the advanced functional specificity exercises. After a solid foundation is established by working each link in the kinematic chain (muscle groups in the shoulder complex); then examples of advanced exercises are illustrated to be incorporated with different patients at selected times in their rehabilitation programs. George J. Davies, DPT, MEd, PT, SCS, ATC, LAT, CSCS, FAPTA, PES provides evidence based therapeutic exercises guidelines for developing rehabilitation programs for patients with various knee pathologies. Foundational exercises are described first to work each link in the kinematic chain in an isolated manner to build the “foundation” to progress to the advanced functional specificity exercises. After a solid foundation is established by working each link in the kinematic chain (muscle groups in the knee complex); then examples of advanced exercises are illustrated to be incorporated with different patients at selected times in their rehabilitation programs. Selected manual therapy techniques are also demonstrated that can be used with patients’ who have selective hypomobilities. Snapping is a common complaint regarding structures in and around the hip joint. Known as coxa saltans, snapping hip syndromes are traditionally classified into three categories: Internal, external, and intra-articular. The associated snapping is most likely caused by a tendon passing over a bony structure or mechanical signs of an intraarticular injury. Approaches to diagnosis and treatment are unique and range from conservative management to surgical procedures. Have you ever struggled in treating a patient with Plantar Fasciitis? Have you considered that maybe the patient really did not have plantar fasciitis? Ever wonder if your patients poor foot alignment is a factor in their back, knee or hip pain? Dont know when a patient should have a custom orthotic? Then you owe it to yourself and your patients to take this online course. You will learn how to perform an effective differential diagnosis process for foot and ankle problems, learn what your text book may have failed to explain, and how biomechanics of the foot can create symptoms from the foot to the lumbar spine. 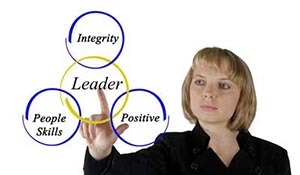 The managers and leaders of today require the development and mastery of multiple skills and experiences in order to engage their team fully and achieve desired results. Rehabilitation managers typically spend disproportionately less time in management and leadership development versus clinical training, diminishing one’s overall effectiveness. Additionally, working long hours attempting to wear both clinician and manager hats may lead to increased personal stress and burnout. Carol McFarland, PT, PhD, OCS details postoperative evaluation and treatment of spine patients with an emphasis on maximizing their surgical outcomes. Carol explains post operative spinal evaluations, identifies standardized outcomes tools, how to perform post operative spine evaluations for the various stages of post operative progression and much more! This course is essential for any therapist treating the post operative spine. 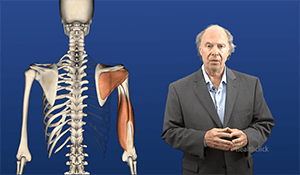 Build your knowledge of the top treatment protocols for the post surgical spine patient with this exciting online/DVD continuing education course. Carol McFarland, PT, PhD, OCS focuses entirely on treatment of the post surgical spine patient with discussion and demonstration of specific rehabilitation exercises and treatment protocols. Gain insight into the actual surgical process with an extensive interview conducted by Carol with a board certified neurosurgeon. Specific case studies are discussed focusing on kyphoplasty, vertebroplasy, artificial disk replacement, lumbar spine fusion and lumbar laminectomy for spinal stenosis. Explore Post-Surgical Cancer Rehabilitation in this engaging online course. Hear from a surgeon on his perspective on current cancer treatments and the role of the therapists in minimizing postoperative recovery. Learn techniques, demonstrated by a therapist, that can optimize patient recovery time and enhance the quality of life of your cancer patients. Millions of people throughout the world suffer from Neurological diseases. In this online continuing education course, we interview one of the top neurologists to determine the most effective treatment programs for Multiple Sclerosis and Parkinson’s disease. Learn rehabilitation techniques from an experienced physical therapists, while case presentations of patients diagnosed with Parkinson’s, MS and Muscular Dystrophy provide the clinician with the ability to observe common patterns seen in patients that are characteristic of each of these neurological diseases. Demonstrations of how to incorporate Tai Chi, Pilates and boxing into a comprehensive rehab program will provide the therapist with additional tools to increase the neurologically-involved patient's gait, coordination, strength, balance and overall quality of life. The Biomechanics of Running takes the participant through a methodical analysis and treatment of a runner. 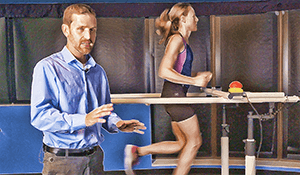 Instructor Keith Christianssen incorporates his expertise into a comprehensive and systematic approach to identify and treat dysfunctions that can lead to a faulty running gait. Keith demonstrates each component of the comprehensive examination, which includes postural analysis, joint mobility, range of motion, manual muscle testing and tissue extensibility. The Science of Taping will provide step-by-step instruction for more than 20 taping techniques for the foot and ankle, knee, hip region, upper extremity and spine. Learn to master techniques for ankle instability, ankle instability with posterior tibialis involvement, preventative taping for ankle, plantar fasciitis, bunions, plantar heel pain, patella femoral pain syndrome, IT band friction syndrome, greater trochanteric bursitis, turf toe, Achilles tendon problems, edema, lymphatic stagnation, pes anserine bursitis, MCL, anterior knee pain, patellar tendinitis, AC joint problems, generalized shoulder pain, rotator cuff pain, scapular instability, postural problems, back pain, lateral epicondylitis, golfer’s elbow and TFCC ligament issues. This is a great online continuing education course to learn techniques for common athletic injury prevention and rehabilitation. A concussion is a complex physiological process. A successful rehabilitation program provides a progressive, healing environment that promotes the improvement of functional and cognitive ability. Clinicians must be skilled in differentiating the results of special tests in order to identify the underlying mechanism of the dysfunction and develop an appropriate, individualized rehab program. This course provides you with the essential tools to properly evaluate and treat a concussion patient and develop effective rehab programs to improve function and overall quality of life. Enhance your clinical reasoning skills along with your hands-on techniques for the evaluation and treatment of the sacroiliac joint and lumbar spine. Clinical reasoning skills and clinical prediction concepts will be introduced in order to determine the optimal treatment options for mobilizations, manipulations, and stabilizations. This course has a systematic presentation that provides an easy learning process to improving your skills when evaluating and treating the SI joint and lumbar spine. This intermediate course will present the evidence that supports the theory that connective tissue and fascia provide the network connection for all of the anatomical framework and is quite often the underlying factor of many postural and functional limitations. Through gentle myofascial techniques, a clinician can significantly improve age related tissue shortening to improve range of motion, balance, function and decrease pain. Thirty-seven years of clinical expertise at your finger tips! Learn how to formulate your own comprehensive approach to treating shoulder dysfunction with information that can only be acquired from decades of clinical practice and proven research analysis. Combining clinical expertise with specifically-selected, evidenced-based data, this course presents you with the foundation to provide a comprehensive evaluation and treatment approach to effectively develop energy-efficient functional outcomes. Over 100 million Americans currently complain of chronic pain. When pain becomes chronic, there are common changes that occur within the body. The physiological impact pain has on the nervous system and the brain results in a multiple system stress response. Do you understand how this can impact your patient’s functional activities and quality of life? This class focuses on the physiological effects of pain, the implications it has on the whole body and how a therapist can reverse the chronic pain cycle. Evidence-based material and research is presented throughout the course to provide you with an understanding of how the medical community is contributing to the research for the development of better treatment approaches for chronic pain patients. Techniques to incorporate the nervous system, mind and physical body will enable the clinician to provide a comprehensive whole body approach to achieving positive results. If you can’t conclusively determine the structural pathology, how can you be confident in what you’re treating? A different approach for patients is to look at their history, their objectives, and the exam findings, and use these to try and categorize them or classify them according to what initial treatment approach makes the most sense. This approach, known as the classification system, has been clinically proven to produce clinical outcomes that are better than they would be if we were to try to chase the pathologic anatomy.